In news which might not gladden the heart of anyone with a fear of flying, Boeing says it is planning to develop commercial aircraft that can go where it's going without pilots. The company says it will test the technology next year. “The basic building blocks of the technology clearly are available,” product development vice-president Mike Sinnett told a pre-Paris Air Show briefing last week. He pointed out aircraft can already take off, land and cruise using computers and are fitted with flight management systems which determine the best flight path. Advocates note pilotless planes would help to address the pilot shortage expected in the next few years. 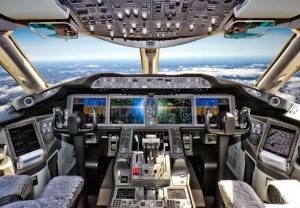 Sinnett said Boeing would begin tests in a cockpit simulator over the summer before flying an aircraft next year with “artificial intelligence that makes decisions that pilots would make”.